A morning with the elephants is an eye-opening and inspiring experience. 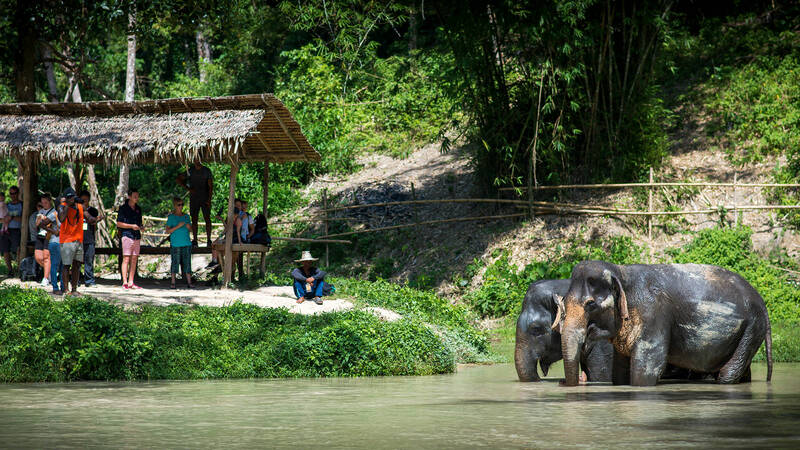 Following a scenic drive along a local village you will arrive at Phuket Elephant Sanctuary, a picturesque jungle dotted with ponds, wide open fields and hillsides for the elephants to roam around. Your visit starts at our Tree Top Reception and Observation Platform, where we will show you a presentation and educational video to prepare you for your encounter with the elephants, and to help you understand why they need to be protected. Next up, you will feed the elephants. While they enjoy their baskets of bananas, pineapples and cucumbers, you have a chance to learn from our guides about the background of each elephant. 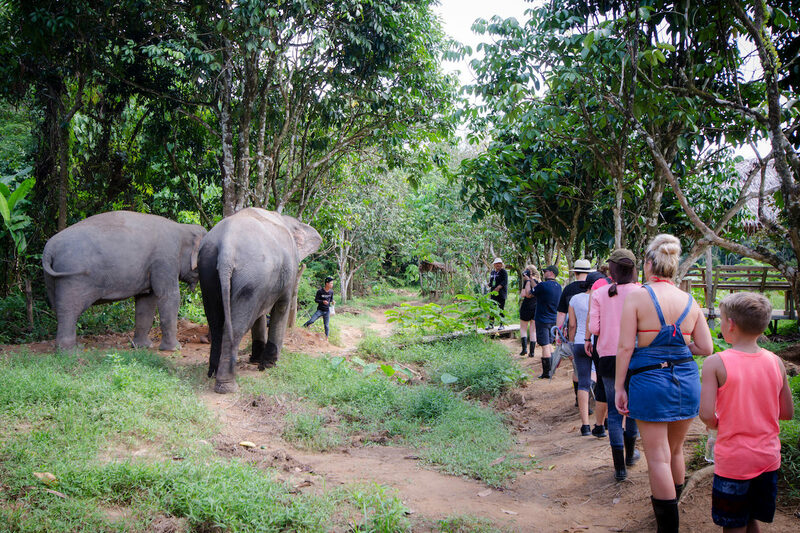 Once the elephants are fed, we walk with them down into the jungle. By keeping a safe distance and watching them from our Observation Salas, the elephants have the freedom to express their natural behavior, from bathing and playing in our pond to socializing with each other. Our top priority is the wellbeing of the elephants. As such, we do not offer rides, shows, bathing, trunk hugging, elephant kisses, sitting on or lying on the elephants, loud noisy groups, or people crowding around the elephants. 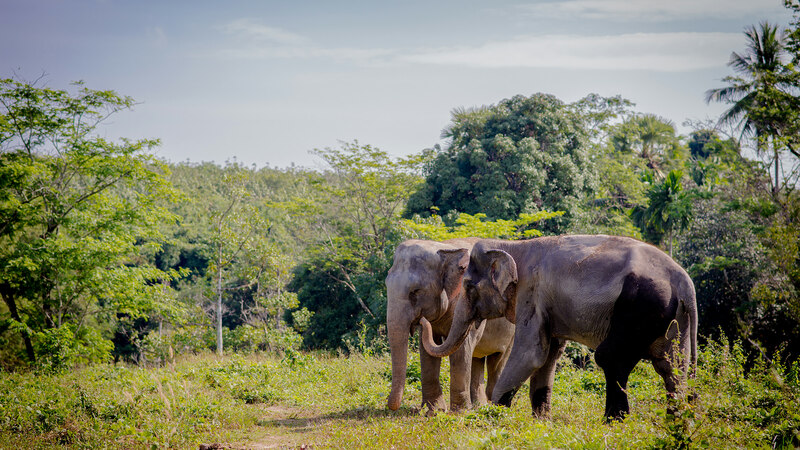 Not only will your visit leave you inspired and informed, it also goes a long way to support our elephants and future rescues for the Phuket Elephant Sanctuary, and to contribute to a more ethical elephant approach, elephant wellbeing and conservation in Thailand.